Learning to breathe and increase our vitality. This post may assist current Iriness students and those of you, who start practising pranayama leading to Kundalini meditation. Pranayama is a yogic practice of increasing vitality through breathing exercises. It is a foundation for yogic meditation and a link between the lower and higher limbs of Ashtanga yoga. 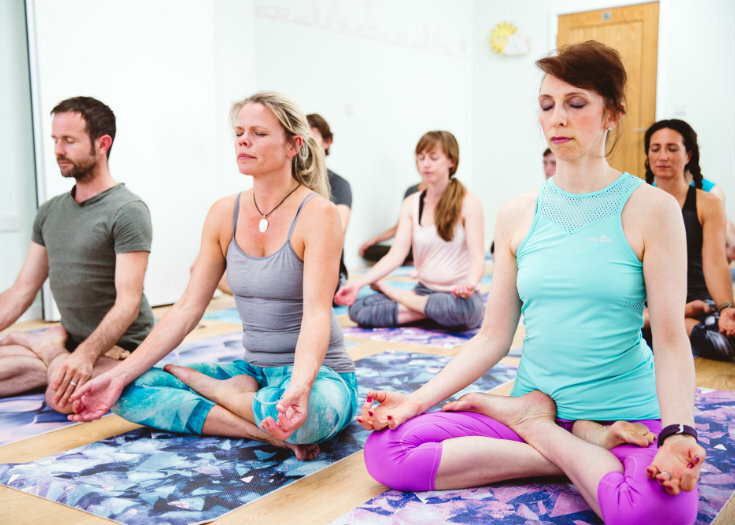 While we shortly introduce pranayama practices during our daily Ashtanga Vinyasa classes at Iriness, we have a special class-workshop twice a month to delve deeper and offer you simple home practices. We welcome complete beginners and more experienced yogis. If you’d like to add pranayama to your yoga routine, just plan 15 min a day. Preferably in the morning hours. If you want to start with less time, – simply learn technique 1 below first, and then continue further. I am at Iriness daily or on email to help you progress, so welcome to questions. There are counter-indications to these practices, which I cover during the classes. If you are not sure, please talk to me or consult other sources. Every morning after bowel movement is completed and before your breakfast. Start with pulling in your abdominal muscles after exhale for as long as comfortable, 3 sets. Agnisara (Nauli stage 1: vacuum in the abs, in and out of the lower abdomen). 3 sets. This will take you 3-5 min. After Nauli or after your postural practice. Vigorous short active exhales while pulling lower abs in and relaxed long and passive inhales. Inhales 3-4 times longer than exhales. Set the Metronome (App Pro Metronome designed by EUM Labs) on 35BPM. This should be about 4-5 min. 1: from public bone to navel; 2: navel to the end of sternum/chest bone; 3: sternum to collarbone. Inhale starts from the public bone, equally distributing air through out all the torso. Exhale starts from gentle pull in of the lower abs, then upper and the chest. At all stages keep gentle engagement of Mula and Uddiyana banda. Count digitally (with your fingers, as in Focussed 12 Breaths). 10-12 breaths (one breath is one inhale and one exhale). This will take you 5-10 min. This will probably do for our beginners-breathers and then each practice above has more depth to delve into. So, if you are Iriness student and feel you have mastered above, just come over and I’ll unveil next level of practice. Enjoy the practice. Never force your breath – it’s a long term subtle practice so be kind to yourself ☺️. Above is mostly learnt from the teacher I study with – Gregor Maehle. He has 5 great books which are available on Amazon.